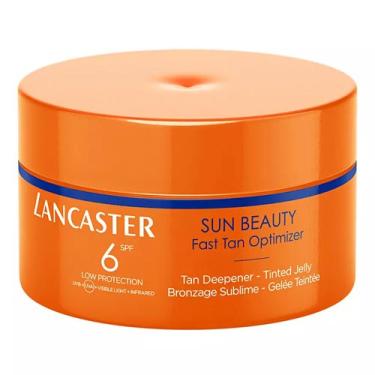 DESCRIPTION: Tan Deepener SPF 6 from Lancaster is a lightly colored body gel that gives the skin an instant shine as it develops intense tan. Contains moisturizers to protect the skin from dryness and flaking. Use only under very low sun intensities. It does not protect against UV rays.